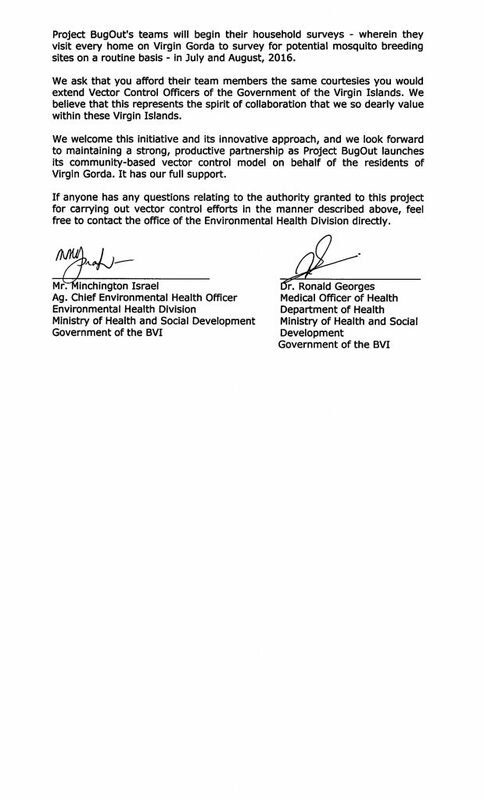 We’ve worked closely with various BVI government ministries to formulate BugOut’s structure and program focus, and we’ve benefited from particularly strong support from the Ministry of Health’s Environmental Health Office, the Vector Control Division, Solid Waste, Public Works, and other government entities. 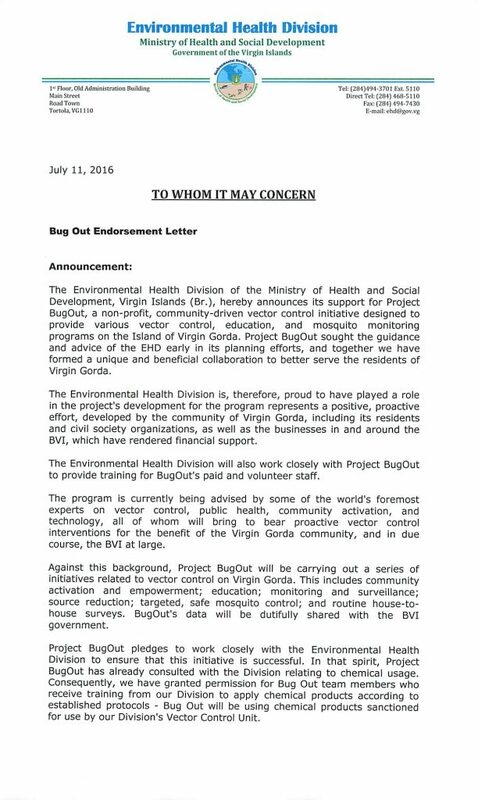 In addition, BugOut is being implemented in close coordination with BVI’s Vector Control Division, wherein staff there are serving as trainers of our CVCOs and our Precinct leadership. 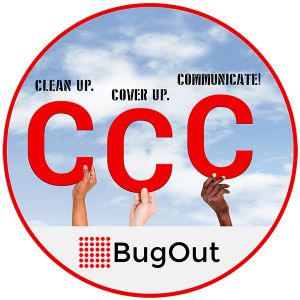 BugOut’s Steering Committee, too, has on it representatives from various government entities, ensuring that our overall program strategy, objectives, operations, and tasks are being carried out in direct alignment with the government’s priorities. We are registered as a non-profit entity under the Jost Van Dyke Preservation Foundation.